Keeping in view their impact and popular appeal, the KSS has now resolved to take these melas to distant and underprivileged areas as well. 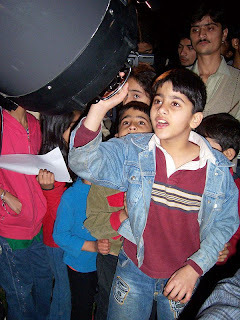 Consequently, the second falakayati mela was held on the 9th of March at Government High School Number 1, Phoolnagar. 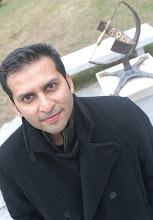 Phoolnagar is the new name of Bhai Pheru, located about 50km on Multan Road, southwards from Lahore. 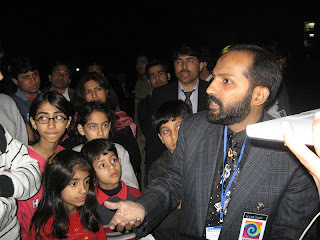 The school has an outstanding history of producing excellent results in Board examinations. The headmaster proudly claims the fifty year old traditions of the school which currently has 1500 students and 50 teachers. Demographically, the area belongs to a deprived economic setting and most students come from poor and oppressed families where the parents cherish in their hearts, the lasting dreams of their children aspiring for strong and respectable careers. 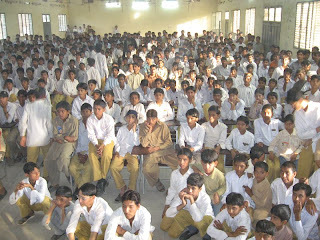 (Pic above) Packed house at an astronomy lecture at the Government High School in Phool Nagar. (Pic above) No no. Not looking for drones. 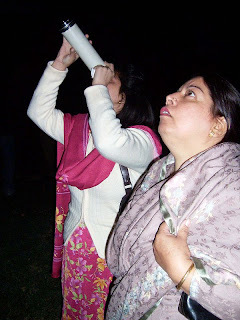 I think they are gazing a bit further out - about 400 light years - and checking the progress of young stars in Pleiades. 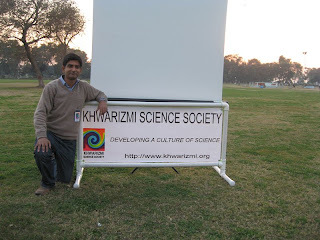 (above) Khwarizmi Science Society under the arm of Sabieh Anwar. This is just great. One thing that i want to know is whether the events being held around the world for IYA by various org are being catalogued. If so whether Pakistani orgs like khawarzimi are there or not. 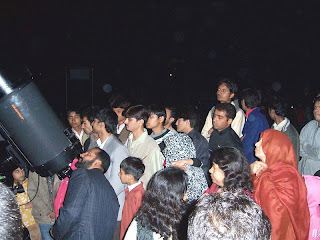 If they are then it will be a great source of recognition for astronomy in Pakistan.